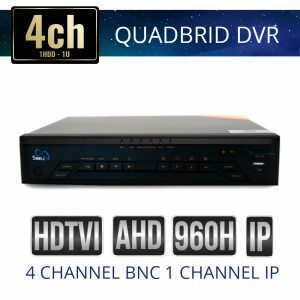 4 Channel DVRs Quadbrids HD Over Coaxial Cable security recorders and our signature Quadbrid DVRs provide affordable HD with the same embedded GUI as our NVRs. The Quadbrid DVRs offer inputs for TVI cameras, AHD 2.0 Cameras, Analog Cameras and IP cameras. 4 Channels are perfect for most small home and small business video security systems.